Sterling Tyres are manufactures in India, the second largest producer of rubber in the world. Sterling Tyres are manufactured in the state-of-the-art facility using Eco friendly methods with natural and blended synthetic rubber. It is managed by highly experienced persons in this field. 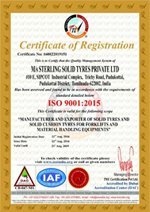 Sterling Solid Tyres are put to Stringent Quality Control tests, backed by superior construction technique and are problem proof. Other than the wide range of moulds available at our automated plant our forte is custom making to suit individual requirements. For Refineries using fatty acids and petrochemicals. 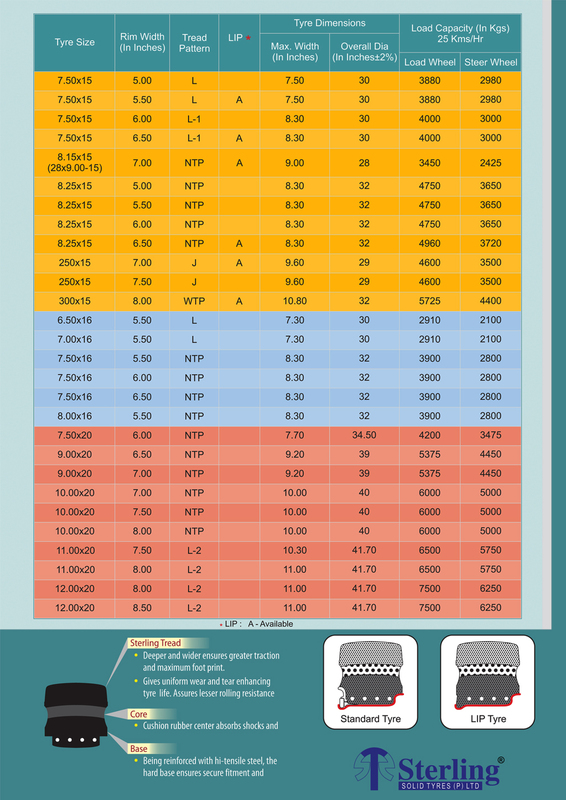 For the use in close proximity to high temperature furnaces in Foundries or Steel plants. For construction sites and shipyards with uneven or rough surfaces. Enables easy steering and leaves no tyre marks during acceleration. Gives uniform wear and tear enhancing tyre life. 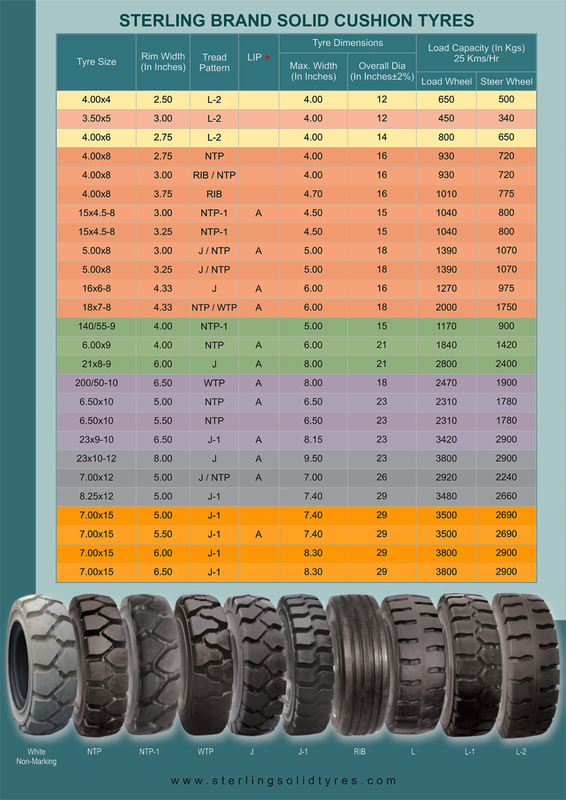 Assures lesser rolling resistance and low heat generation. Resilient centre rubber compund ensures tough yet flexible cushioning effect. Being reinforced with hi-tensile steel base ensures secure fitment and improves wheel protection.